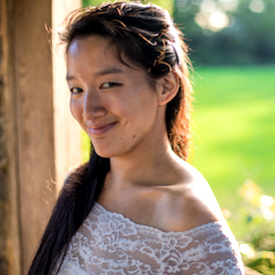 Andrea Tang is an author of speculative fiction for teens and adults, and lives in DC, where she earns her keep as a risk consultant, which is the resume-approved way of saying that she is an expensively-trained collector of geopolitical gossip. When not writing or working, she enjoys martial arts, theatre, and other hobbies collected over the course of her misspent youth. I signed with my first agent in my first year out of undergrad, only to have that first manuscript die tragically on submission while I was in grad school! After parting ways amicably with my rep, I proceeded to spend the next 3 years “building my consulting career,” which was technically true, but also an excellent cover for sulking over my clearly doomed childhood publishing dreams! Unfortunately for me, consulting is actually pretty boring, so it wasn’t long before I was back up to my old tricks drafting manuscripts & meticulously stalking publishing professionals on the Internet. I found my way into the wonderful world of professional short fiction, which ultimately gave me a great foundation to write the book that ultimately netted both my second agent & my debut deal – a whole 5 years after my first foray into the book industry! I double majored in English lit and East Asian civilizations in undergrad at Bryn Mawr College, and went on to do a master’s degree in Contemporary Chinese studies at Oxford with a focus in international relations, all of which translates to general, nerdy excitement about a wide swathe of different types of writing. I also spent my undergrad years working as a tutor in the Writing Center, which was generally useful to learning the key – but surprisingly tricky! – difference between giving someone else the toolbox to write better prose *in their own voice*, and swanning in all backseat writer style and manhandling them into writing the way *you’d* do it. So, remember my three years of sulking over the death of my very first manuscript in the unrelenting world of submissions? Honestly, while some sulking is to be expected in these cases – especially when accompanied by an agent breakup! – the level of angst I indulged in would have been easily mitigated with some friendly, hands-on mentorship from better-established authors in the publishing community. I’d love to provide that for up-and-coming new writers now! Also, I just really like making new author friends, and enjoy the power trip of smugly crowing about getting to read cool new manuscripts that others have yet to discover! I’d love to find a good contemporary SFF manuscript that balances humor and heartbreak in equal measure, with snappy dialogue and memorable characters whose voices and implied histories really come alive on the page. And I’d love to find a mentee who wants to spend a fair amount of (reasonable, carefully-allotted, productive!) time yelling enthusiastically into chat windows about those characters. I love a complicated, multi-layered, gorgeous romance, but usually as a subplot rather than the story’s primary focus. I’m also weak for found families, ensembles casts you want to buddy up to, and friendships that are every bit as complex and important as romances. I’m generally drawn to voicey, character-driven, emotionally vibrant plots, and I ADORE a good, well-timed sense of humor. I take a lot of editing / mentoring cues from my own editor and agent, both of whom have mastered the art of providing edit letters or brainstorming suggestions that feel less like crit in the traditional sense, and more like, well, fanfic prompts for your own story. This isn’t to say that the crit isn’t there – because it absolutely is – but by asking good questions about how to make a story stronger (e.g. “I had a lot of questions about Character A’s arc, and I’d love to know more, what if we put him in the same room as Character B for this scene which might add interest to Subplot C?”) is, I’ve found, a great way to make revisions, if not precisely painless, a lot more fun! At the end of the day, while I want to help you whip your manuscript into shape, I also want to make sure your creative vision is thoroughly in your own hands. Someone enthusiastic and open-minded, who communicates well and understands other demands on my time, and is ready to roll up their sleeves and get some good hard work done! I’m also always here for retellings of Tam Lin, The Wild Swans, Madam White Snake (Bai She Zhuan), etc – I’ve been a lifelong sucker for girl-rescues-boy fairytales, especially narratives that embellish and complicate the original source material in interesting ways. Although I love well-earned elements of pathos, I’m not the best mentor for true grimdark fiction – I’ll read and enjoy it on occasion, when I’m in the right mood! – but it’s not really something I have good editorial vision for.